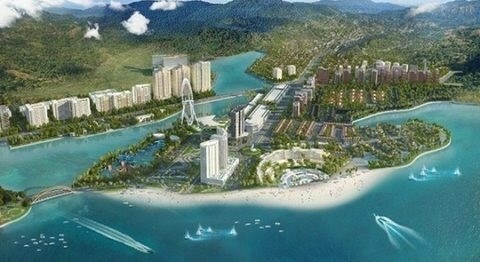 HCM City (VNA) - The abolition of people’s councils, permitting casinos to be set up and allowing foreign investors to lease land for 99 years are among the main provisions of a proposed new law to govern the three special administrative-economic zones in Vietnam. Speaking at the 2017 M&A Forum organised in HCM City on August 10 by the Vietnam Investment Review, Minister of Planning and Investment Nguyen Chi Dung said the Special Administrative Economic Zone Law is expected to create a proper legal framework for the three zones in Van Don (Quang Ninh Province), Van Phong (Khanh Hoa Province) and Phu Quoc (Kien Giang). It aims to create a new development model with breakthrough policies and mechanisms meant to improve the investment environment and make Vietnam competitive in attracting investment. The zones will only have an administrative committee and no people’s council, and the people’s council’s role related to legislation and inspection would be taken over by provincial authorities, he said. “To effectively operate these special zones, we should remove unnecessary and inappropriate levels of special economic zones,” the minister said. The ministry has also proposed increasing the maximum land lease tenure to 99 years from the current 50-75, and allowing the zones to have casinos. Dung said the zones have been established to develop certain strategic industries based on their geographic conditions. For instance, Van Phong is the best place to develop a transit port in Vietnam and can develop logistics while Van Don has great potential in healthcare, education and biology, he said. All three would welcome industries with high value-addition, which would be identified for investment and announced soon, he said. The bill would be tabled in the National Assembly for approval, according to Dung. The house will consider their provisions related to preferential treatment for investors in terms of currency, land, manpower, tax and others. Businesses are proposed to be given a tax waiver for four years, tax cuts for 30 more years, low land rents and flexible labour policies. Van Phong covers an area of 66,000 hectares and is expected to become an international hub for marine transport, finance, tourism, medicine and education. The three zones are expected to contribute billions of dollars to the economy from 2020, and enjoy average per capita income of 12,000-13,000 USD by 2030. The ministry said building the zones has become an urgent task since in the last 25 years, other models like industrial zones, processing zones, economic zones and hi-tech parks have not been sufficiently flexible. Besides, the current models are not attractive enough for foreign investors and face shortcomings related to administrative procedures and poor human resources. Since 1942, many countries have successfully developed special economic zones, special administrative zones, freedom cities and smart, industrial and hi-tech cities.